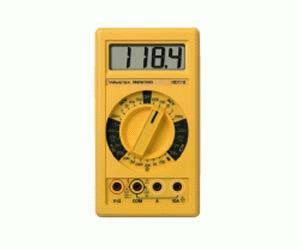 The Wavetek Meterman HD110 (Heavy Duty (HD) Series 100) digital multimeterÜis designed for industrial conditions. The multimeterÜis built of fire-retardant plastic. All sensitive components are shock-mounted. Waterproof construction prevents dirt and moisture from entering the case.